Most recently Free Animal Doctor was featured on "People Making a Difference" of CBS2 Los Angeles, and KCAL9. The #1 barrier to people donating to animals online is fear of fraud. FAD removes that fear by offering a verified platform that only pays the veterinarian. And we are a non-profit too! Traditional crowdfunding platforms like GoFundMe or YouCaring pay the donations to whomever sets up the account, but at FAD we only pay the veterinarian. In addition, we personally contact, by phone, every pet owner who is listed on our website, and communicate with their veterinarian, including obtaining medical records and bills. This method of crowdfunding is as close as you can come to donating directly to the animal in need, for his or her use, and we think it provides a new and unique way to raise money! Your donation is to a specific animal, not a general fund. You are directly helping the animal you choose with a secure donation right to him or her. It is a new and unique way to donate for good! 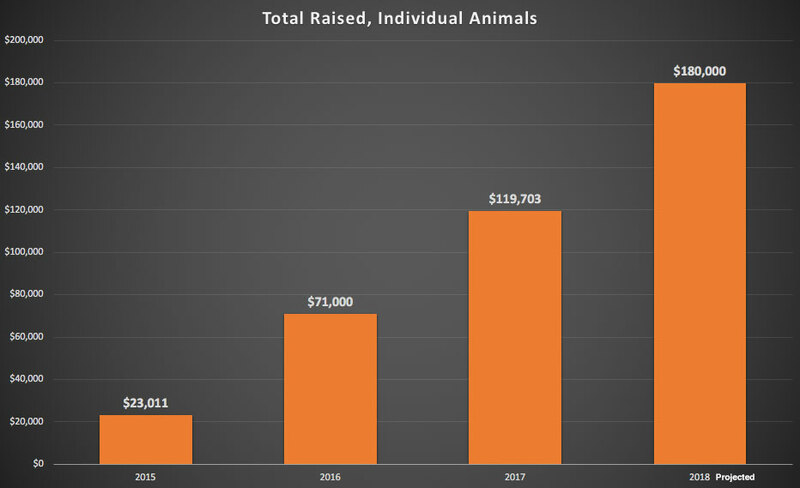 Unlike other crowdfunding platforms, only pays donations to the animal's veterinarian or other medical service provider, such as a non-profit animal rescue. We ask donors to voluntarily contribute a 10% add-on to their donation to help us cover costs, but this is completely optional. We take no fee out of the donated amount, and we do not charge credit-card processing fees. 100% of your donation is applied to the animal's account! Most of our campaigns raise money! We work with you, to help promote your campaign on social media, like Facebook and Instagram, and we actively promote campaigns through our marketing channels such as our email newsletter, and text-to-give campaigns. Posted on September 16, 2018 by Free Animal Doctor.